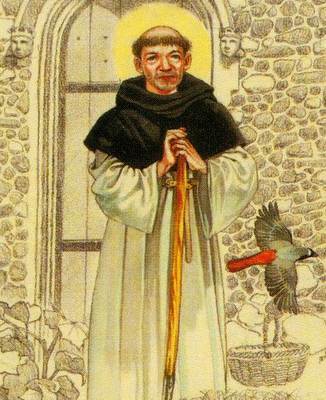 Gracija, an Augustinian and hermit, was born on November 27, 1438 in a small village Muo in the Bay of Cattaro and died in Venice on November 9, 1508. He was a saint of the Eucharist, a modest monk who dedicated himself to the care for the poor and beggars. As he was from a fisherman’s family, he became a sailor and on one of his journeys he heard blessed Simon preach. He then dedicated his life to God and entered an Augustinian monastery near Padua. After 15 years he went to the monastery on the little island of St. Christopher, where he died at the age of 70. Two hundred and fifty years after his death, the body of the blessed Gracija was returned to Muo. When he opted for monastic life he didn’t want to study and become a priest so he lived as a modest monk. He especially worshipped Christ present in the Holy Eucharist. During mass he would be overwhelmed by the mystery of the Eucharist, fed himself with the body of Christ in the Holy Eucharist and spent his free time in adoration of the Blessed Sacrament. The poor and beggars often came to him and were never refused. He had a word of comfort for everybody and that often meant more than material gifts. Gracija was beatified in 1889.